All bloggers want to increase their reading rate. 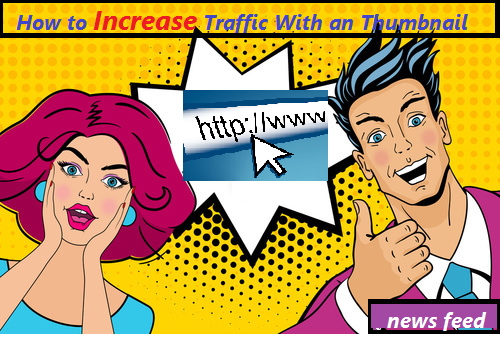 We will see how to use thumbnails that make your visitors read your posts. These tips help you drive your home/category pages visitors to the post where is your real content. Images are often used to help store make more conversion (see at TV advertisement or book ads), we will see that they can also Improve your reading rate. Images are the best way to express an emotion and it can be successful for your marketing. If we look at the picture above: this girl looks nice, there are sun and sea. We can imagine the sound of waves, we feel free. When you see this picture for the first time, your brain associated them to all these keywords. Instantly you have this words in mind, you imagine all these feelings. You know now what happens when your visitors see this thumbnail, his mind is associated with pleasure. This picture will call your visitor, create an interest. We see above that image create emotion. Emotion is a good way to create interest, it’s what we want. We want to get the attention of our visitors, we want that they want to read our post. It’s human, emotion improves interest. We love great situation, we love when we are free, successful, all that is attached to “good”. When you see an image that gives you in mind this information, that makes you feel happy, you want to know why this person on this picture is so happy and you will click to see the post. You want to be so happy that they are in the picture! The opposite work also. If you see somebody that feel bad and not happy, you want to know why he is bad and doesn't make the same mistake. You are in a situation of protection, you need to know why to not be in the same situation. Use a thumbnail is important. But select the good picture for it is better. For that, you need to know the message that you want to pass to your visitors. You need to select the feeling that your visitors need to have to see your post. For example, if you write an article about making money with the Internet, your visitors will read your post if they have the feeling about rich, money, success. You need to select a picture that corresponds to this idea. For our example, we can use a picture that shows money, they see what they what, they visualize the result that they want. You have to show them the results that they will want have when reading your post. Another example, imagine you manage a blog about dating. You write an article about how to keep girl easier. We now know what the reader really want when he reads your post. We are going to choose a picture that shows a man speaking with one girl that gives the impression to love her, a man with is a girlfriend. The visitor visualizes this scene and will create an interest for your post. He will read your article and, if he likes it, will subscribe to your blog.